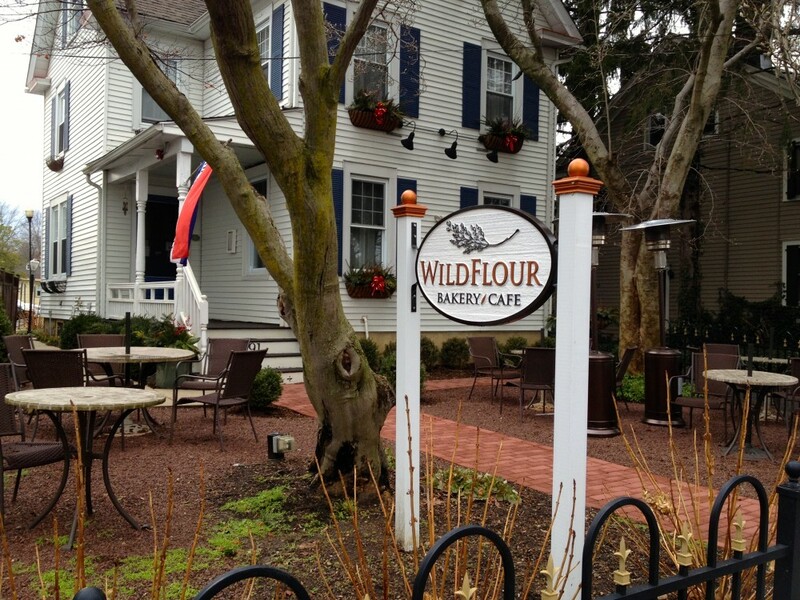 With luck and the help of an app, we discovered a town just off I-95 in Lawrenceville, New Jersey, with a plethora of gluten-free options. It was late, some time after 11 p.m., and we’d been driving for hours, leaving the Chapel Hill area after 2. The need to refuel got us off the highway and into a Howard Johnson’s for the night. But when the next morning’s continental breakfast only consisted of powdered sugar donuts and cereal with whole milk, we did a little research. Using the Find Me Gluten Free app on her phone, my daughter discovered a gluten-free bakery just 3 miles away. Eagerly anticipating the gluten-free crepes listed on its menu, we took the detour, parked, and walked to Wildflour Bakery/Cafe. Closed. It was Monday. Now what? We were all hungry, and the town’s main street was quiet. Half a block away, we noticed a bagel shop, and as we grew closer, we noticed a sign posted in the window. Gluten-free bagels! 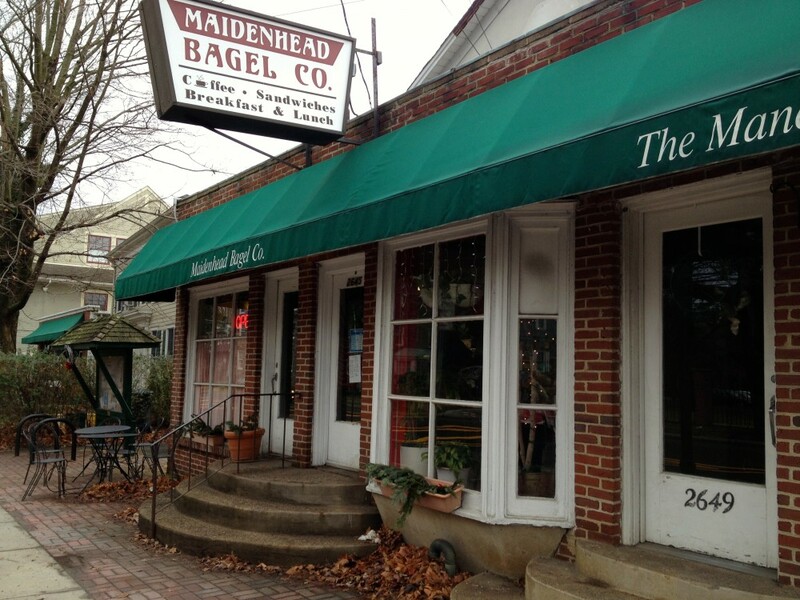 Inside, the Maidenhead Bagel Company, the gluten diners were happy, ordering sesame, plain, and pumpkin (!) bagels all made with wheat flour. And the gluten-free diner was happy. 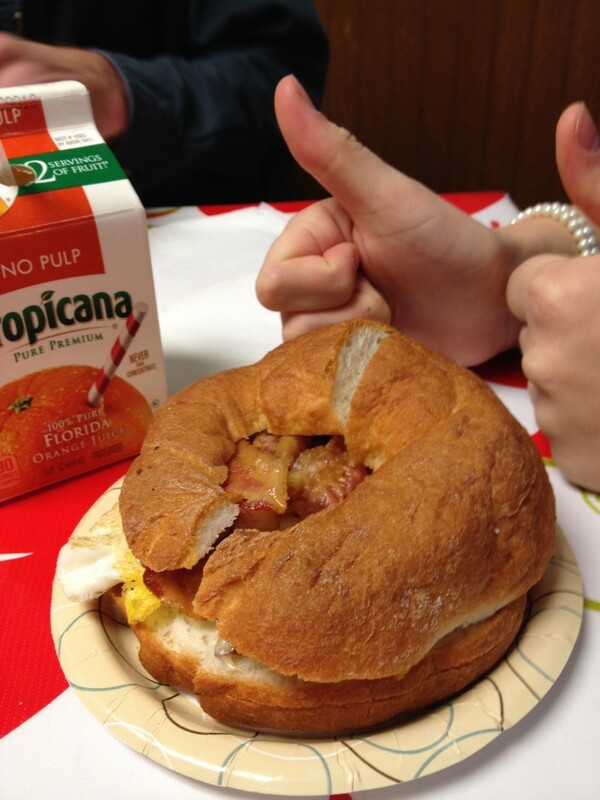 She ordered a bagel egg sandwich (the first one she’d ever had!) made on an Udi’s bagel. On our next trip south, we’ll plan on passing through the town of Lawrenceville to check out the cafe we missed. And next time, we’ll make sure it’s not a Monday! Food, Gluten Free, New Jersey, Road Trips, U.S.